After years of dreaming, months of planning, more months of repairs, our hopes have been realized! (or realised if you are British). A blank canvas to fill with art. Art House 473 in the delightful village of Calliste is close to everything, but might take a little adventuresome spirit to find for your first time. We will be welcoming you — 11am to 5pm Wednesday through Friday, and by special appointment. Let us know you are coming. Please fill the form so we can contact you. We will send you a confirmation email or phone call for your day and time. We are very proud of the space that years of hard work has accomplished, and we can’t wait to show it to you! Greatness takes time–it is not instant. 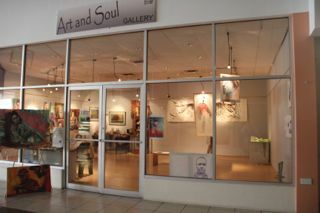 Susan Mains Gallery will continue at Spiceland Mall, and you can come anytime, Mon-Sat, 10 am to 5 pm. We accept Visa/Mastercharge, PayPal, and ship worldwide by FEDEX. ← Wondering? Here is the scoop.